Costa Rica midfielder Jose Miguel Cubero has agreed to join Blackpool, subject to a work permit being granted. The Seasiders have paid Herediano an undisclosed fee for the 27-year-old, who has spent all of his professional career playing in his home country. Cubero appeared in four of Costa Rica’s five games at the World Cup in Brazil as they reached the last eight before losing on penalties to the Netherlands. He has agreed a one-year deal, with the option of a further 12 months. “It has always been a dream to play in England and grow as a footballer, so it’s a great opportunity,” he told the club website. Cubero is the sixth summer signing made by manager Jose Riga, taking the number of senior players in his squad to 13. Riga had been working with a squad of only eight during pre-season, with the club’s recruitment slowed by a dispute over transfer policy between him and chairman Karl Oyston. The signings of defender Peter Clarke, midfielders Jacob Mellis and Tomasz Cywka on Monday, plus the arrival of striker Nathan Delfouneso on Tuesday, have swelled that number but they are still without a senior goalkeeper. Cubero posted pictures of himself at Bloomfield Road shaking hands with Riga on his Twitter page on Wednesday and he underwent a medical on Thursday before agreeing the move. All four of his appearances at the World Cup were as a substitute, coming off the bench in the victories over Uruguay and Italy that confirmed the Central Americans as Group D winners, as well as in the second-round win over Greece and the quarter-final defeat by the Dutch. Blackpool chairman Karl Oyston says the club is in the “best possible hands”, following criticism from shareholder and club president Valeri Belokon. Belokon, who owns a 20% stake in the club, wrote an open letter urging Oyston to “put football first” by investing more money in the team. Blackpool had just eight players until adding three new signings on Monday. Oyston responded with a letter of his own, which was published on the Championship club’s website on Tuesday. In it, Oyston claimed the Latvian – who bought his shares for £1.8m in 2006 – had asked the club to buy back his shareholding for a large profit. Belokon’s initial letter had questioned the withdrawal of funds from the club’s accounts, which were then paid into companies owned by the Oyston family, following their solitary season in the Premier League in 2010-11. But Oyston has responded to explain that the money was used, in part, to pay off interest-free loans to those companies, which had been used to “build and modernise the stadium and provide the club with income streams”. However, Oyston remains positive about the future, ending his letter: “We have a position that is virtually unique in football. “We are a debt-free, cash-rich club, unlike many of our competitors that will suffer the ravages of a transfer embargo as early as January 2015, when they fall foul of the Financial Fair Play regulations. “This strong position does not come easily, or without cost, in the way in which we sometimes have to operate. The Seasiders, who narrowly avoided relegation from the Championship in May, have endured a testing summer. The departure of more than 25 players left new manager Jose Riga, who was appointed in June, with a squad of just seven senior players to work with. The arrival of Estonia international striker Sergei Zenjov took that number to eight, but a dispute between Oyston and Riga caused their recruitment to stall until three more players – Jacob Mellis, Tomasz Cywka and Peter Clarke – signed one-year contracts on Monday. Blackpool open the new season at Nottingham Forest on 9 August. Blackpool have re-signed forward Nathan Delfouneso on a one-year contract, with an option for a further 12 months. The 23-year-old has agreed a move to Bloomfield Road after being released by Aston Villa. Delfouneso, a former England Under-21 international, scored seven goals in 54 games in two previous loan spells with the Championship club. His signing following a trial means Blackpool now have 12 contracted players for the new season. He is the fourth player to agree terms this week, following the arrival on Monday of former Barnsley midfielders Jacob Mellis and Tomasz Cywka, and ex-Huddersfield defender Peter Clarke on Monday. Chairman Karl Oyston, meanwhile, has insisted in an open letter that the club is in the “best possible hands” following criticism by president Valeri Belokon, who owns a 20% stake in the Seasiders. Blackpool have signed Peter Clarke, Jacob Mellis and Tomasz Cywka, taking the number of contracted senior players at the Championship club to 11. Centre-back Clarke, 32, returns to Blackpool on a one-year deal with a 12-month option after being released by Huddersfield Town in May. Ex-Barnsley midfielders Mellis, 23, and Cywka, 26, have agreed similar terms. Blackpool’s summer recruitment has been slowed by a dispute between manager Jose Riga and chairman Karl Oyston. The pair have struggled to reach an agreement over the club’s transfer policy, leaving a depleted squad at Bloomfield Road as more than 20 players have departed since the end of last season, and they are still without a senior goalkeeper. All three of the deals announced on Monday are subject to medicals. 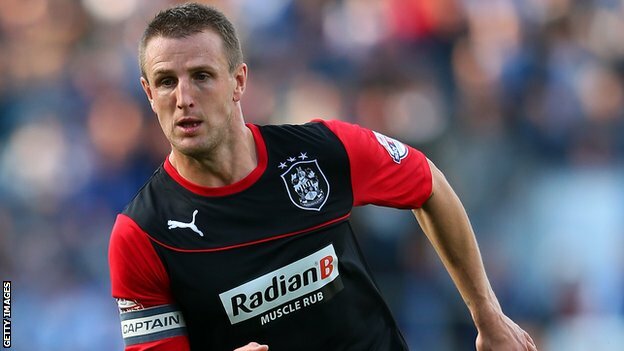 Former Everton trainee Clarke spent two seasons with the Seasiders before leaving for Southend in 2006, and has spent the last five years at Huddersfield, for whom he played 224 games. “I return a more experienced player and someone who can hopefully help the younger players and maybe be a bit of a role model for some of them,” he told the club website. A proposed friendly between Blackpool and Alfreton Town has been called off after the Conference Premier side said their opponents did not confirm the fixture. Championship club Blackpool have just eight players under contract and no senior goalkeeper. In a statement, Alfreton said they believed the fixture was scheduled for Saturday. However Blackpool insist the match was not part of their pre-season. The Seasiders’ tour of Spain was cancelled last week to allow new manager Jose Riga time to bring in new signings. But a dispute over transfer targets between former Charlton boss Riga, who was appointed in June, and chairman Karl Oyston is yet to be resolved. Blackpool have made just one summer signing – Estonia international striker Sergei Zenjov. Five trialists, including former Tottenham goalkeeper Ben Alnwick and ex-Aston Villa striker Nathan Delfouneso, appeared in their 4-0 friendly win at Penrith on Saturday. The club’s only other confirmed pre-season fixture is against newly-promoted Premier League local rivals Burnley, on Saturday, 2 August. Blackpool narrowly avoided relegation from the Championship last term and begin the new season at Nottingham Forest on Saturday, 9 August. Jose Riga’s future as Blackpool manager is likely to be decided by Saturday. The former Charlton boss, who took charge at Bloomfield Road on 11 June, is locked in a dispute with chairman Karl Oyston over transfer policy. Riga is understood to have refused to make any signings unless Oyston brings in three particular players, whose identities have not been made public. With three weeks to go until their opening Championship game, Blackpool have just eight contracted players. If Riga agrees to start bringing in players and is in the dugout for Saturday’s opening pre-season fixture at non-league Penrith, he will remain in charge. However, if the transfer stand-off between Riga and the chairman continues – or if the manager does not show at Penrith – it is expected to spell the end of his reign. With their opening league fixture to be played at Nottingham Forest on 9 August, the Seasiders – relegated from the Premier League in 2011 – have no goalkeeper and will have to rely on youth-team players and trialists to play Saturday’s friendly against their Northern League Division One opponents. A pre-season tour to Spain, for which the squad were scheduled to depart on Sunday, has been cancelled at the manager’s request. But Riga has been told the Penrith game will go ahead, with the boss – as far as the club are concerned – in the dugout. The 56-year-old, who had a 16-match spell at Charlton at the end of last season, was appointed as successor to interim player-manager Barry Ferguson, under whom Blackpool narrowly escaped relegation to League One last season. Riga has not spoken to the media since he got the job 37 days ago. Michael Appleton currently holds the record for the shortest Blackpool reign – he was manager for 65 days during the 2012-13 season, before leaving to take over at Blackburn.